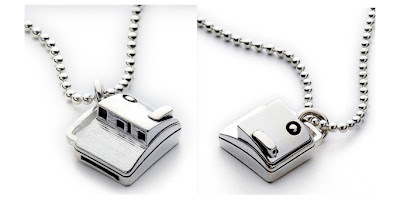 i'm a one necklace, one ring kinda gal, but what photographer wouldn't love this charm? i think i'd have to wear it with a much more delicate chain, but that's just me. "flash-1" is the first piece in RoidRage jeremy kost's collaboration with rusty pistachio's PNUT Jewelry. limited to only 1,000 pieces. $175 (jessica, need i say more? ).